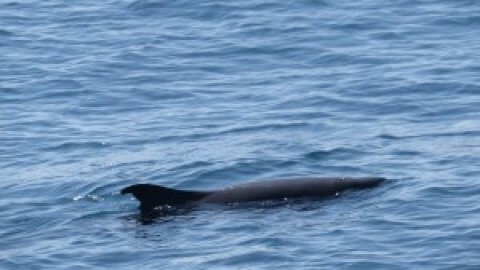 I spent a month mammal watching in S.E. Asia during the early part of the rainy season in September 2004. There were plenty of animals to see, though wherever I went people would tell me that mammals (or at least the ones I was looking for) were easier to see during the dry season. But I suspect that is true only of certain species. I’d been told the opposite when I had visited Thailand during the dry season. Perhaps because the questions I asked related only to the species I hadn’t seen, the answer might be expected…. Primates and squirrels were easiest to find in the very early morning (from just before dawn for the next two hours or so). The late afternoon was generally less good, and I tried to catch up on sleep most days after lunch, so don’t know much about mammal activity then. Spotlighting was fairly hit and miss: the abundance of animals was hard to predict or relate to the vagaries of weather or moon cycle. Heavy rain seemed to make the animals hard to find, but (and based on one night in particular) I found the hours immediately after heavy rain to be particularly productive for seeing stuff, especially along the road, along which I imagine some species may choose to travel to avoid the sopping wet forest. In peninsula Malaysia I hired a car and driving was easy. 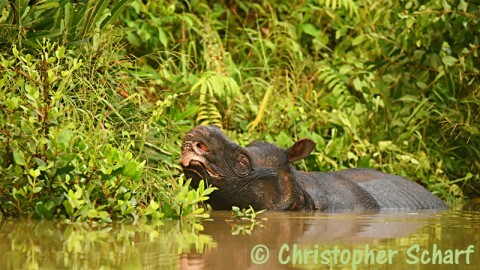 My main reason for visiting the park was to try to see a Malayan Tapir and I had three nights here. 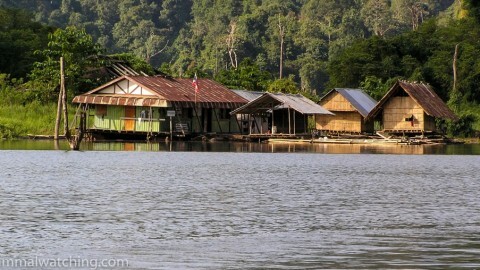 The journey to Taman Negara from Kuala Tembelling is around three hours by longboat. Saw White-thighed Langurs (Presybitis siamensis), not Banded Langurs as I first thought), on the way. The boat trip would have been very exciting were it not for my trip a few days earlier to Klong Saeng in Thailand which was more remote and altogether more adventurous. I stayed at Nusa Camp, pleasant enough and quieter than the main area of the park. It was a little frustrating though: staying here means you are reliant on ferries to travel to the best areas of the park – ferries that are hard and expensive to arrange unless you are happy to stick to the scheduled service that only begins running at about 9 a.m.
Low’s and Prevosts Squirrels were active around the camp. 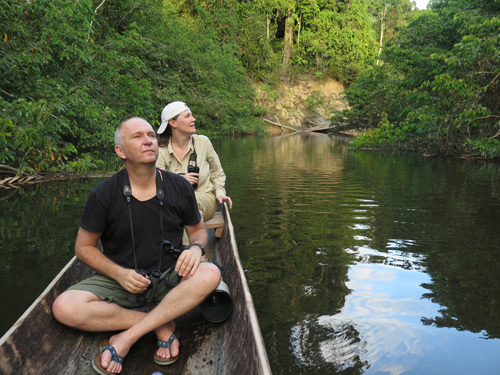 I spent two nights in the Kumbang hide where the two of us took shifts all night to watch for Tapirs. None showed, which was a little unusual, and perhaps the torrential rain put them off. A few weeks earlier I was told some tourists had reported seeing 10 in a night. The only animals that I saw from the hide were White-thighed Langurs, a Plantain Squirrel, a Common Porcupine and a pair of Yellow-throated Martens. 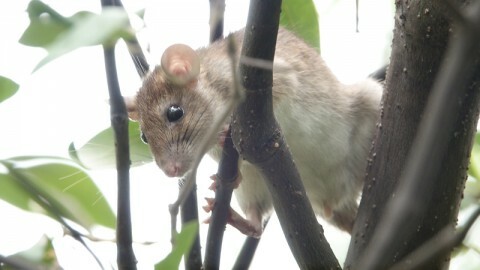 Two Dark-tailed Tree Rats/Sundaic Arboreal Niviventers (Niviventer cremoriventer) visited the hide at about midnight both nights. A couple of back-packers who’d walked the 12 kms to the hide (I took a boat most of the way bar the last couple of kms) had seen a black Leopard that morning en route. 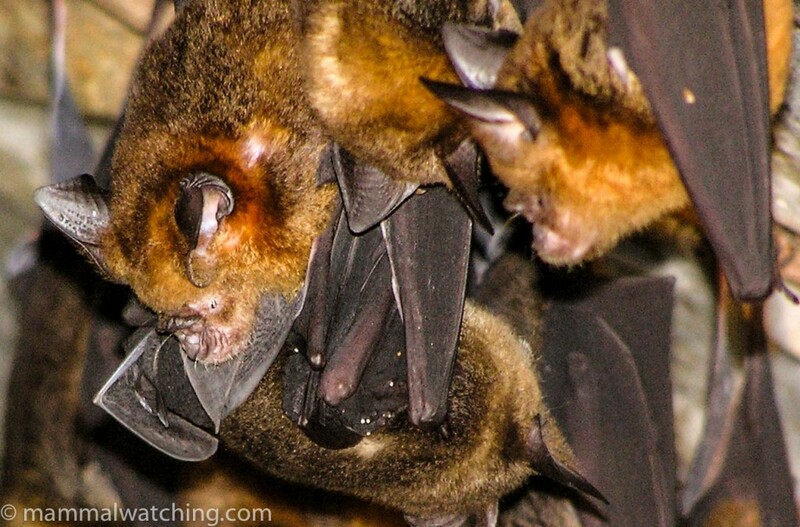 The park’s bat cave – Gua Telinga – is well worth a look. 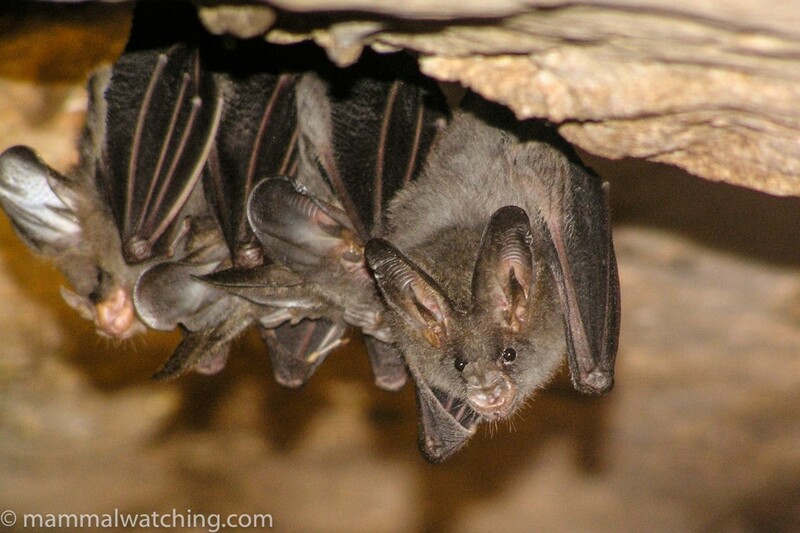 I couldn’t work out all the bats, but there were lots of Intermediate Roundleaf Bats in the first chamber, along with some horseshoe bats (not sure which species), Lesser Sheathtails and perhaps some Dusky Fruit Bats. 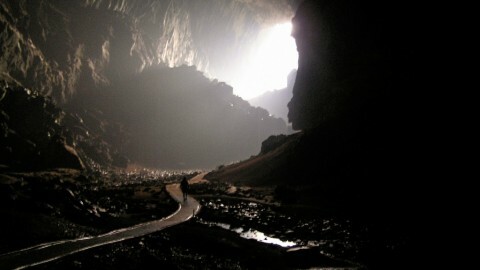 At the upper exit to the cave in the twilight – a small group of Lesser False Vampire Bats . A truly superb bat to see so close. Other mammals I saw around the park included a Lesser Mouse Deer, on the trail to the canopy walkway at about 10 a.m, and Black Giant Squirrels (around the bench 200 metres up the hill from the canopy walkway turnoff). There were Crestless-firebacks (birds!) around the picnic area near the campsite. 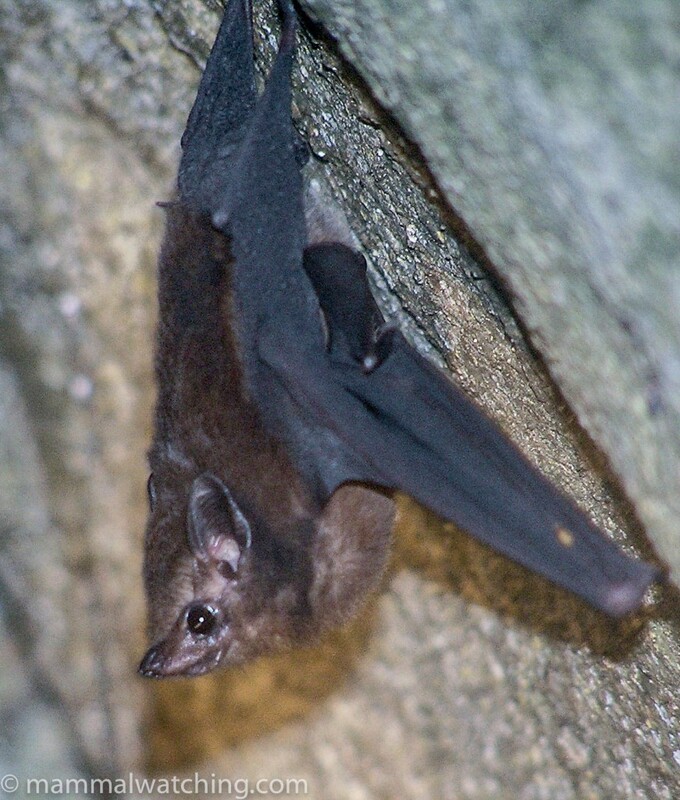 Spotlighting along the road from Nusa Camp to Kuala Tembelling produced a couple of Black Flying Squirrels and a gliding Colugo. The guys at the camp reckon they have seen heaps of stuff along that road during night drives over the years (including Sun Bears and Leopards). 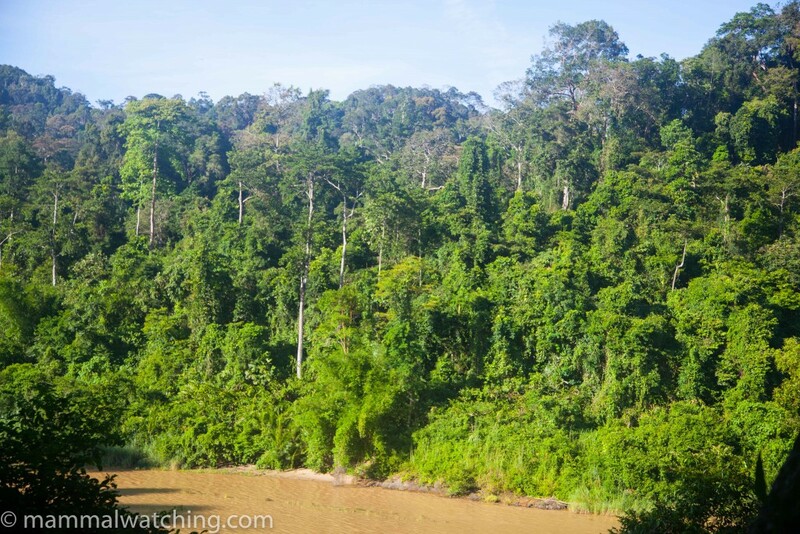 Not sure I’d go back to Taman Negara, though I’m still determined to see a Tapir so I might have too (it still sounds like the best place to look for Malaysian Tapirs). I stopped here for a night here to see Siamang, which we found quite easily about 1 km up the road from the Gap at about 9 a.m. They were calling all along the road, and we found them by stopping at suitable vantage points and scanning the canopy. Great animals. I also saw White-thighed Langurs in the same area and a Himalayan Striped-tree Squirrel in the trees behind the café at the Gap. For closer views of Siamang, the trails around Bishop’s Cottage are supposedly good. This is a nice spot, and off the beaten track. Although I wanted to stay at the last resthouse (Guning Hijau) on the road up the mountain, it was closed when I got there, so I had to stay at the main resthouse about 1km down the hill. We were the only guests and we spent a night here. 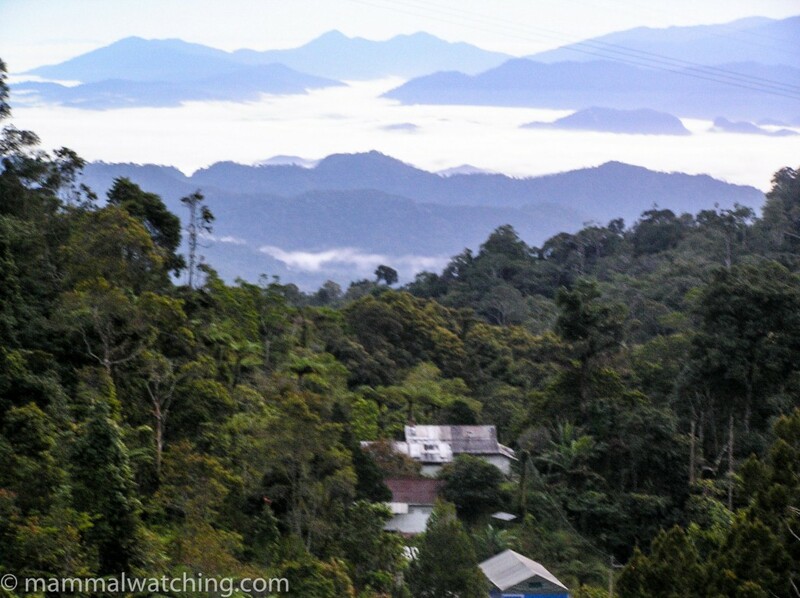 The road up the mountain between the resthouse and Gunung Hijau was good for mammals. I saw Wild Boar and a Crab-eating Mongoose in the late afternoon. In the evening a Masked Palm Civet was teetering along the phone lines, and a Common Palm Civet was moving along the road later that night. 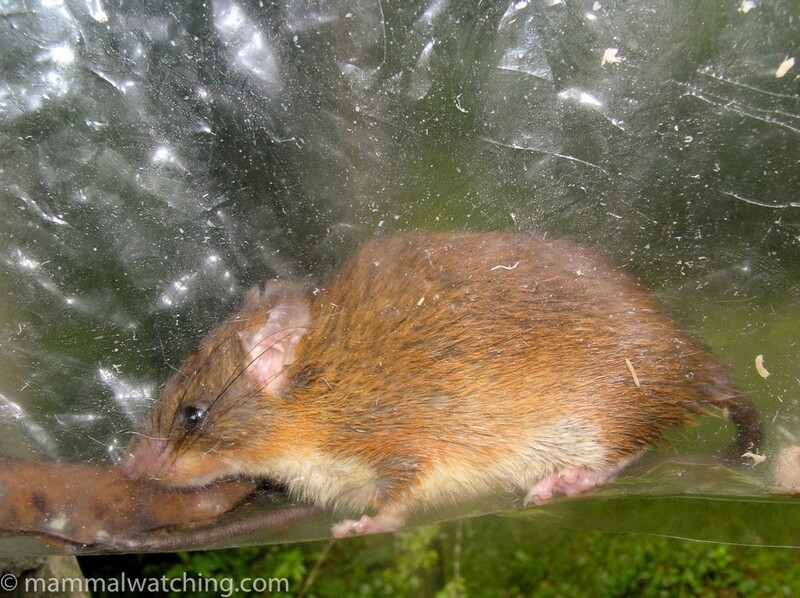 We set some Elliott traps around Gunung Hijau and caught the newly split Cameron Highlands Niviventer (Mountain Rat) (Niventer cameron, a split from N. rapit ). 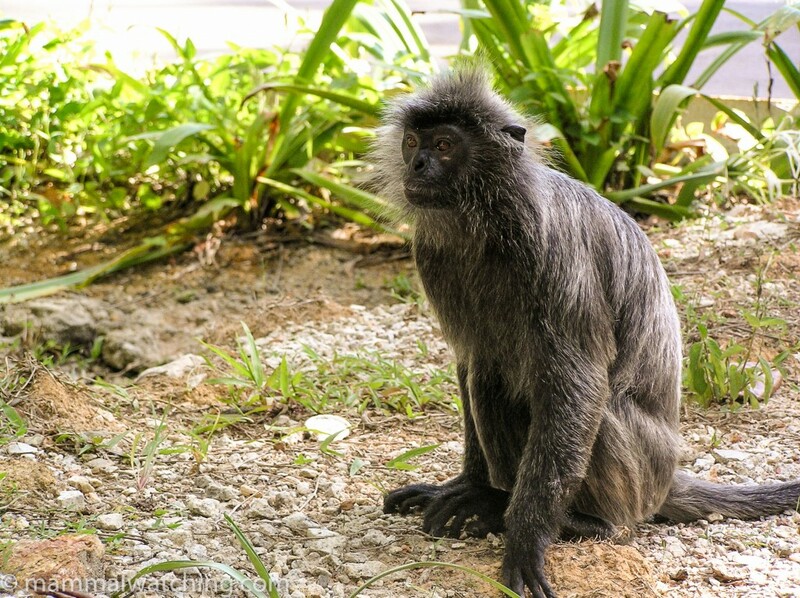 We stopped for an hour at Kuala Selanagor to see the Selangor Silvered Langurs (now split from Sundaic Silvered Langurs). These are lovely animals in an uninspiring setting here: we watched one forage around the garbage with a heap of Long-tailed Macaques just outside the park.